EzeeLinux.com – Switching People To Linux.. The Easy Way! Check out our YouTube channel. Join us on Facebook. Talk with us on EzeeTalk. EzeeLinux is a community outreach project that helps to raise awareness about Open Source computing and Desktop Linux. Please take a few moments to explore this page and learn more about the project. GNU/Linux is a free Operating System that you can run on your computer. We call it just “Linux” for a shorthand name even though it takes advantage of many Open Source projects to appear to the user as a cohesive system. You’re using Linux right now! This web page and most other pages you use everyday are powered by Linux. Linux is also used in many familiar devices like Android phones, smart TV’s and countless others. Linux runs web servers, supercomputers, automation systems, robots, spacecraft and even cars that can drive themselves. Linux is everywhere! 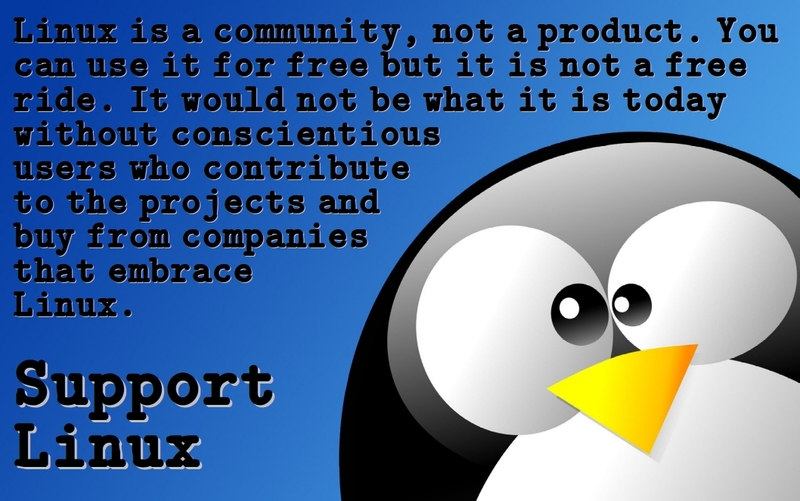 Linux is free… Free to download and use, free to modify and free to distribute to others. You do not need to get out a credit card to use Linux, you don’t have to register with any company or organization and you will never be required to pay to receive updates for the system or installed software. Yes, Linux really is free. There’s no catch. Linux for your laptop or desktop computer is packaged into different distributions by many different companies and non-profit projects. There are hundreds to choose from! EzeeLinux focuses on Linux Mint and Ubuntu because of the vast amount of software available for them, the helpful communities around them and the fact that they are designed to be easy for average folks to maintain and use. You don’t have to be a computer genius, all you need to do is be ready to learn something new. Are you ready to start a new computing adventure? The EzeeLinux Community is here to help. Joe Collins — Your fearless leader!